Posted on January 13, 2011 by Jill B.
AllUSB had the chance to catch up with another technology innovator at CES that we’ve covered before—HSTi and their Wireless Media Stick 2.0. We’re continually impressed with what HSTi is doing to propel USB technology in a forward thinking direction that evolves with consumer’s demands for ease of use and connectivity. – The company debuted the Wireless Media Stick DS, intended as a business solution for digital signage. It allows you to bypass the setup of an expensive network of cables and media players. Using WiFi, 3G or 4G, you can manage the media content for your business from a separate location if need be. – The HSTi Stream Stick uses the same technology as the Wireless Media Stick, but for VOD streaming. This USB device is plugged into your media player and allows you to watch your favorite shows or movies from your online content library. The Stream Stick links to your router and is viewed from a media player supporting Internet capabilities. – As smartphones become integral to our lives, HSTi is making a greater push to show how their USB stick can supplement your Android tablet or phone, where it can directly play shared files from your TV or media player. 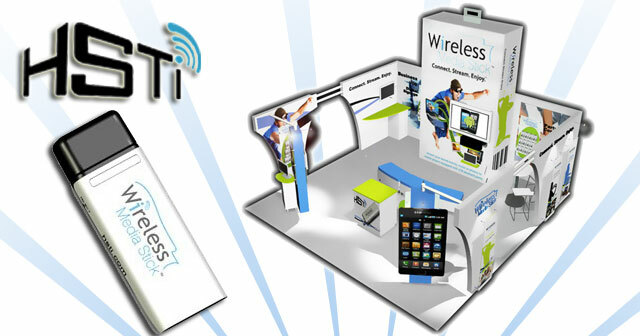 If you’re a visual learner, see the Wireless Media Stick in action at CES 2011 in the video below! This entry was posted in Articles, CES 2011, Flash Memory Future, HSTi, USB Future, USB Gadgets, USB Stick, USB Technology, Wireless Media Stick, Wireless Media Stick 2.0 and tagged AllUSB, CES 2011, CES 2011 Videos, HSTi, HSTi Video, HSTi Wireless Media Stick, Wireless Media Stick, Wireless Media Stick 2.0, Wireless Media USB Stick, Wireless Media USB Stick Video, Wireless USB Stick. Bookmark the permalink.